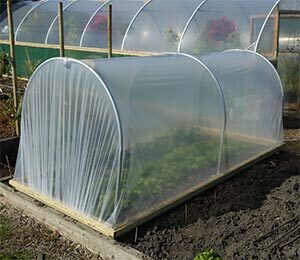 If you grow your own vegetables, you already understand the importance of protecting your crops from weather and pests. 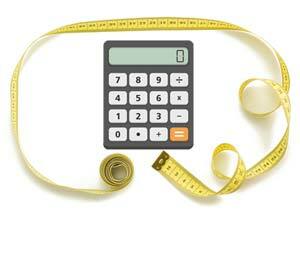 You likely also understand the importance of creating the right growing conditions so that each harvest is bountiful. 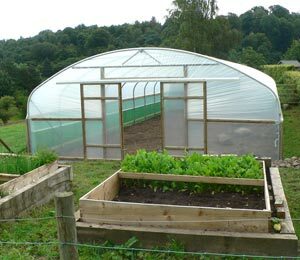 A mini polytunnel is an ideal solution for the domestic gardener. 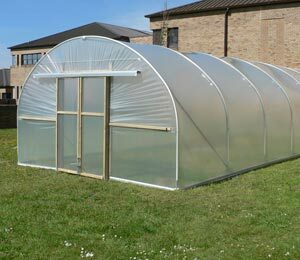 A small polytunnel won’t dwarf your garden and it isn’t expensive. 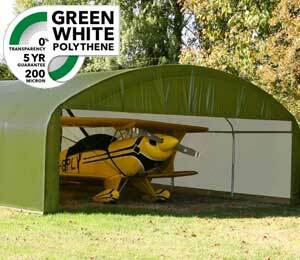 Better still, if you want to redesign your garden, next year you can move your small polytunnels to a new location. 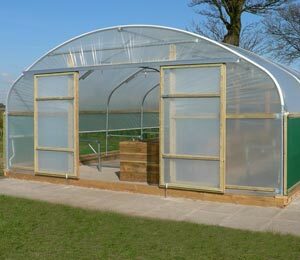 By protecting crops during the winter months, you extend the useful growing time of your allotment or garden. 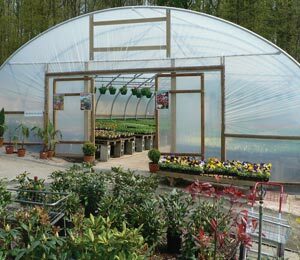 Some gardeners protect vulnerable seedlings with a small polytunnel inside a large tunnel, a bit like double glazing protection for plants. 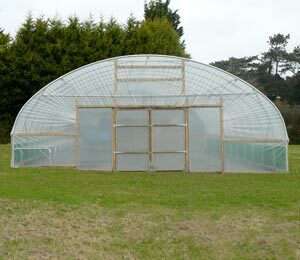 Each hoop of the mini polytunnel is made from 25.4mm galvanised steel tubing and stands at 1.12m high 0.5, on the straight side (3ft 7inch x 1ft 9 inch). 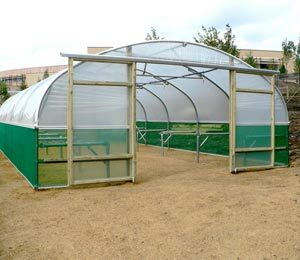 It comes complete with 2 extensions in order to allow ventilation. 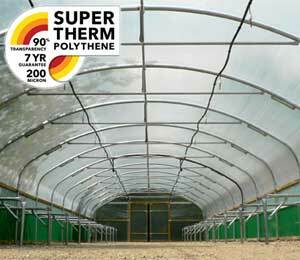 The polyethene cover supplied is 800 gauge (200 microns), exactly the same used in our larger, commercial polytunnels. It comes complete with a pressure treated timber base rail. 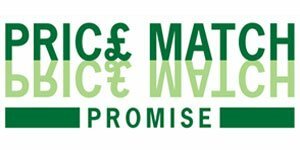 This portable protector supplied is 1.2m wide (4ft), and is available in 3 lengths with a choice of a polyethene or net cover. 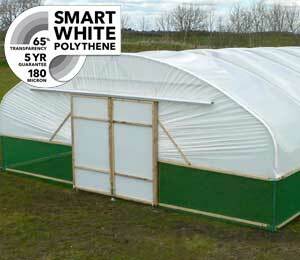 Instruction Guide for Mini Polytunnel/Portable Plant Protector. Rated 4.7 out of 5 based on 15 reviews. 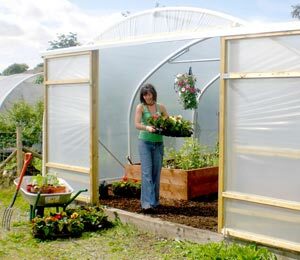 Really great idea for extending the growing season and compliments our outside veg plots and larger poly tunnels. 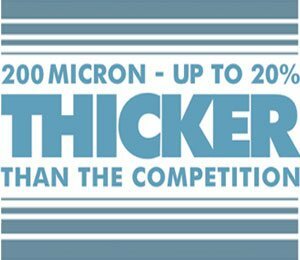 Good build quality / better than cheaper equivalents we've looked at. 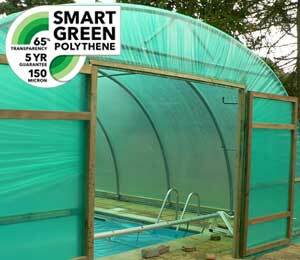 Quality materials and clear instructions made the polytunnel easy to construct and I look forward to using it for many years. Excellent quality tunnel. Very happy. Great smaller tunnel and look forward to the benfits it will bring this season. I assembled mine myself, but I'd recommend you do it with someone else if you don't have a very good mobile workbench. The only thing that caught me out was that I used a heavy duty staple gun for the polythene cover before securing it with the nails supplied, the staple gun would tear the areas where I used it so I would recommend using a lighter duty staple. I was impressed by the quality of the materials and the sturdy nature of the frame and hoops. 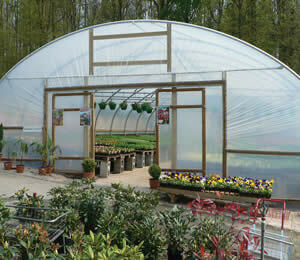 It is going to give us a lot more undercover growing space and ideal because it is portable too. It was easy to put the frame together, took about 2.5 hours in total and easy to follow the instructions. I totally recommend this product. 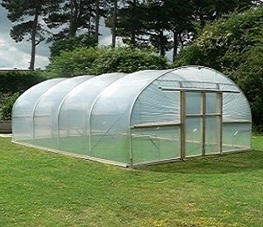 Great service and a great little polytunnel with a very sturdy frame. 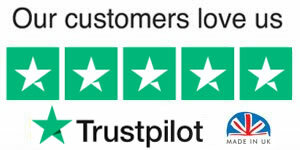 It does take a good couple of hours to put up and you will need some tools and ideally two people for the job, but the instructions are clear and easy to follow. My only concern is that it could blow over in extreme conditions as there is no way to secure it to the ground, although it is fairly heavy so this may not be a problem if you don't live in an exposed area. 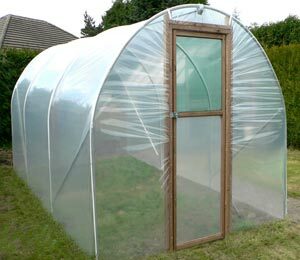 I will use the polytunnel to protect courgettes and other tender plants in the early days / weeks of planting them outdoors. It will also double up as a defence from pests. 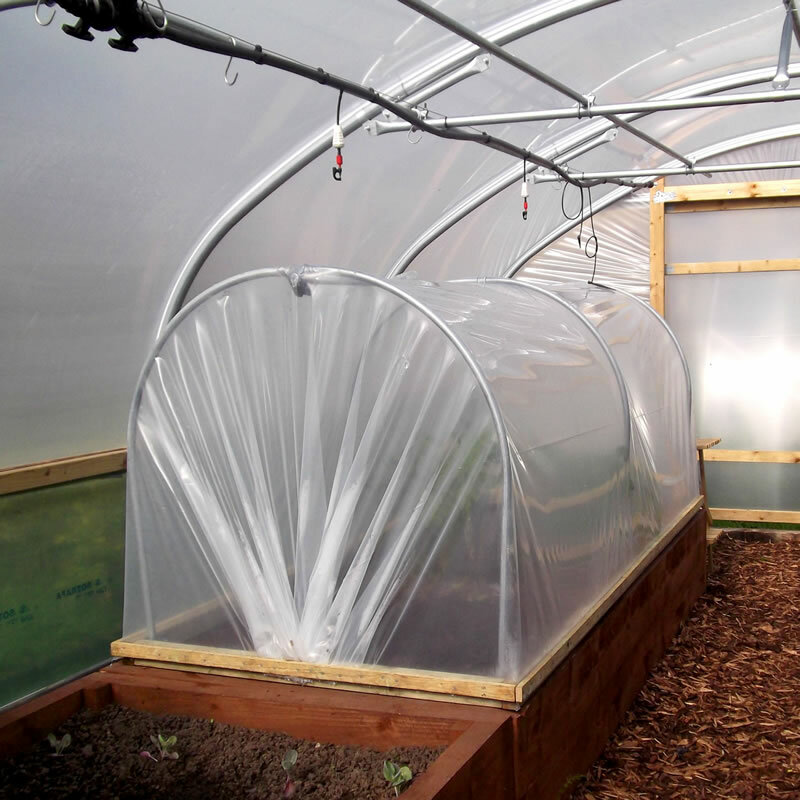 You would need to lift the tunnel or move it in order to water the plants as there is no opening, although you can raise it up for ventilation. 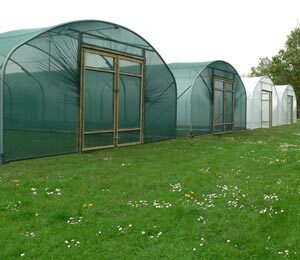 The polythene could be removed and replaced with netting in the summer for other crops as the frame is a good size. 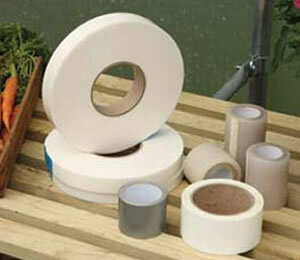 The Mini Polytunnel is sturdy & the materials to build it are great quality. It is definitely going to be able to survive the worst of the weather for many years to come. (as tested by the recent snow & wind storms - we didn't quite anchor it down properly & it ended up blowing across the allotment plot but is undamaged apart from a small hole in the cover from catching on a sharp border edge) The list of included parts & quantities are really helpful, although do check you have enough wood to go around the whole of the frame to hold the cover in place (we didn't but we had some extra at the allotment anyway). Definitely recommend watching the First tunnel videos first before trying to put the cover on as it is quite fiddly and definitely a two person job! Top tip is to use small squares of the provided duct tape on the cover where you are going to staple. 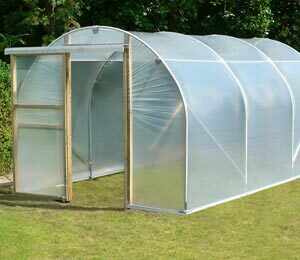 Overall a great addition to our allotment but is probably better suited to being used inside a larger one or more sheltered garden. It's rare to get something bought online and find it better than expected but the mini-tunnel did just that. 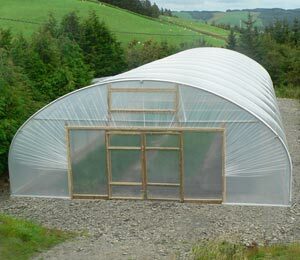 It is just a polytunnel on a small scale. 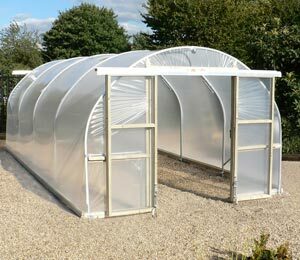 Great for using inside a large tunnel to really push things ahead or outside to protect plants when you're short of space. I'm over the moon with it. Really perfect. Couldn't ask for more.